Paradise products have won 9 Best of Supplement Awards. We are dedicated to sourcing premium ultra pure ingredients that meet the highest standards of excellence. 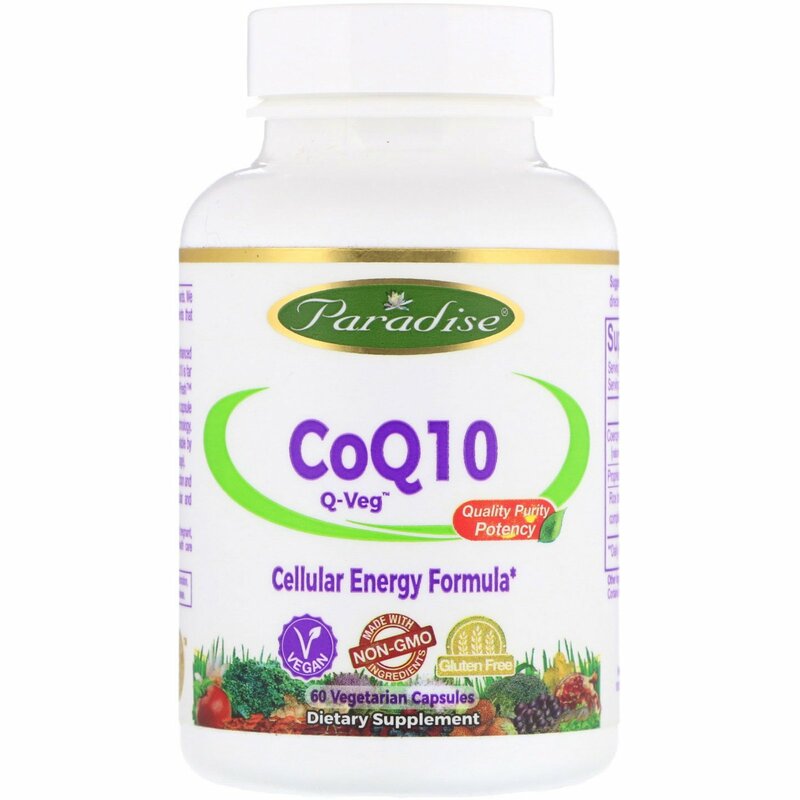 Paradise Q–VEG is an advanced liquid emulsified enhanced absorption CoQ10. 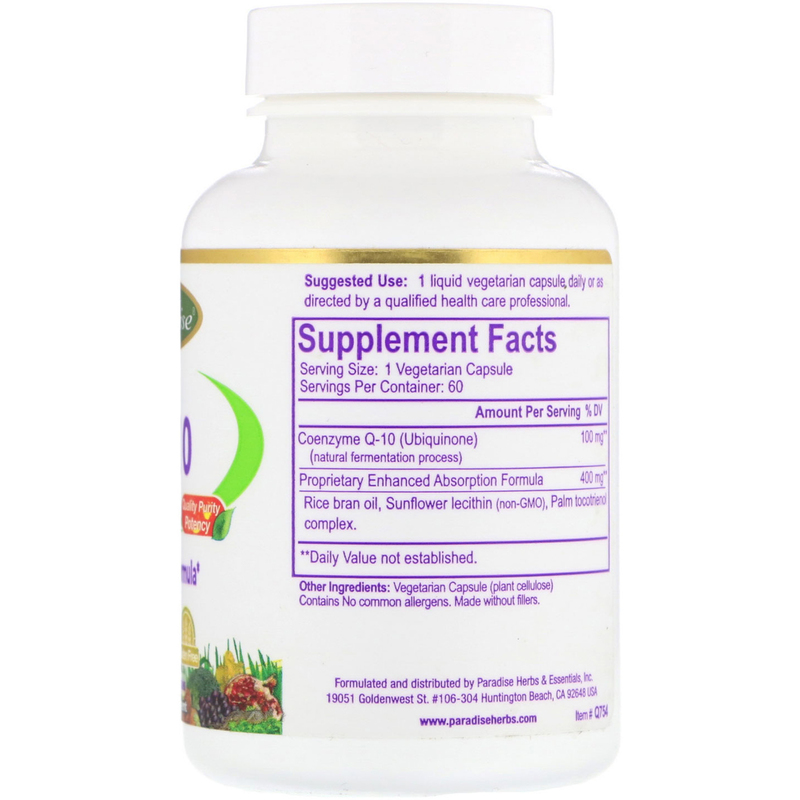 Research shows our base formula CoQ10 is far more bioavailable than other forms. Our exclusive VFresh system locks in purity and potency within each vegetarian capsule by using chlorophyll light barrier and nitrogen blanket technology. This assures the most consistent and fresh product available by significantly reducing oxidative degradation (oxygen damage). CoQ10 is an antioxidant essential to cellular energy production and is involved in maintaining normal heart, cardiovascular and immune function. 1 liquid vegetarian capsule daily or as directed by a qualified health care professional. Rice bran oil, Sunflower lecithin (non-GMO), Palm tocotrienol complex.